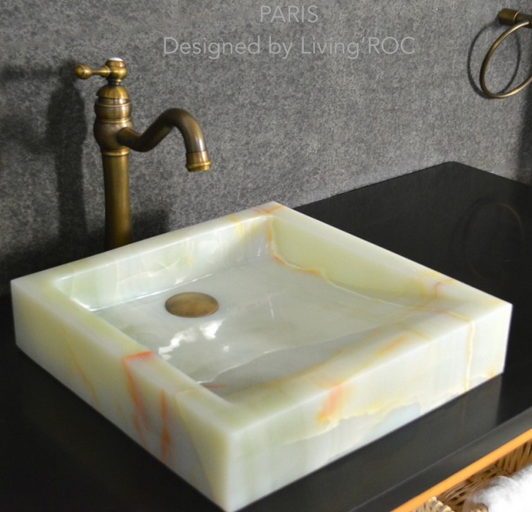 LivingRoc has your most sought after granite, marble, onyx, and basalt products to make your home project a place to relax and refresh. From vessel sinks to shower bases, patio tables, dining and living rooms choices, there is a look for everyone. Here is an assortment of photos that our LivingRoc customers have shared with us. 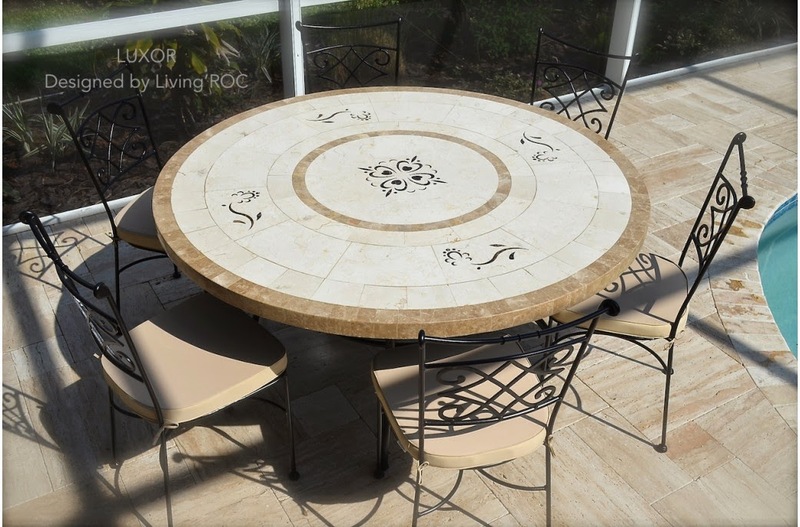 The LUXOR outdoor garden marble mosaic dining table has an outstanding size of 63". Accommodating up to 10 guests you will be the envy of your guests. With its sturdy wrought iron base you will be impressed with its function. Pure Crystal white marble bathroom vessel sink, we introduce CRYSTAL. Discover the restful being marble can bring you with its luxurious material. All of our vessel sinks are the creation of a combined talented masons dedicated to the idea of creating bathware made from natural material, which is environmentally friendly. What a beautiful inspiration this customer has shown us. 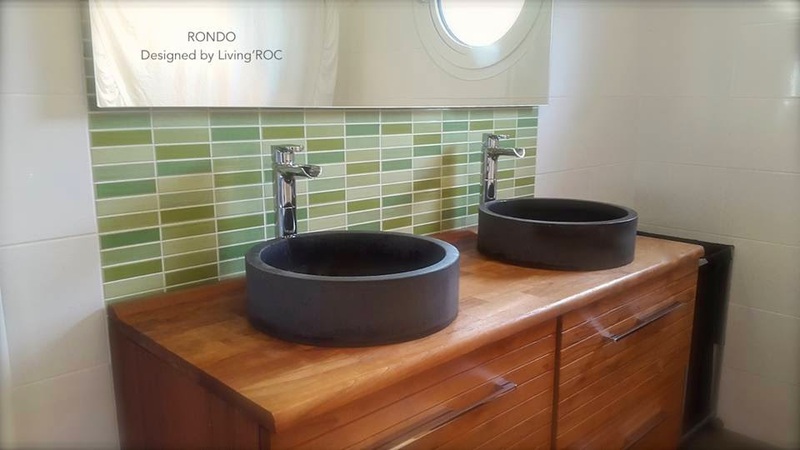 Our customers side by side rendition with the Rondo and it looks just suburb in its surroundings. PALAOS can make a harmonious pair with any our stone vessel sinks. 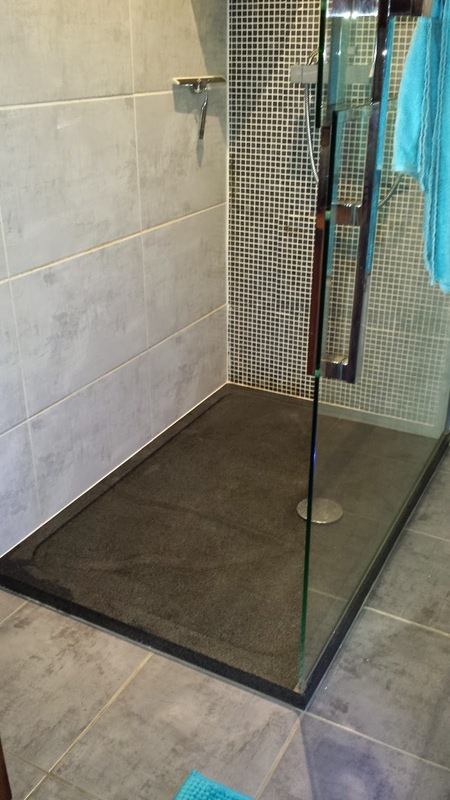 Our stone shower pans come in a variable of sizes that can accommodate into your space. Our bathroom shower pans can be used for indoors or outdoor installations. Granite is a material sought after stone specialist around the world. Built to last a very long time. We are also taking good care of your comfort and security ensuring reliable, non slip products.